We have decades of unrivaled specialized knowledge and we're passionate about helping you succeed. How will we help your business solve its challenges or explore new ideas? By listening. By being a teammate, an ally, and a leader. This isn't 'one size fits all.' This is authentic, dedicated and industry-proven help. How do I measure workflow efficiency and data integrity? Is there a clear alignment between the staff I have and the work they produce? How can we be faster to market with more accuracy? How can I optimize workloads without adding headcount? How many of my fares actually sell? We'll help you figure it out, so you can tap into your full potential. As a dedicated partner with decades of experience navigating legacy and emerging business environments, we help airline industry clients in different roles and situations find success. It's your vision; we're just here to clear it up. Decades of experience in pricing applications and industry leaders in dynamic pricing and New Distribution Capability. 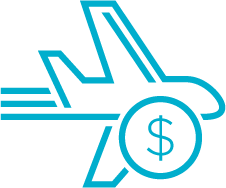 Deep understanding of commercial airline ecosystems (pricing, inventory, revenue management, revenue accounting, interline, sales, ancillaries and marketing). Gain quick wins to reduce costs, identify new opportunities and drive additional revenue. Conduct data assessments on how your pricing data and staff compare to your anonymous peers and to industry standards. 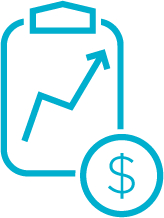 Optimize processes around pricing and revenue management departments. Drive pricing data effectiveness and gain in-depth data insights. Educate executive level and industry through overview of pricing and related applications for non-pricing decision makers. ATPCO Data Application review – how to use, interpret and access information. Provide guidance on understanding how ATPCO rules categories process, and their impact on data feeds. Create understanding of the relationships between various data elements and records to achieve desired results. Knowledge sharing on how to view and maneuver through ATPCO systems. “Last weeks seminar truly met our needs and was very useful to us. We now have a keen understanding of ATPCO systems. We have lots of challenges ahead and we will take your good advice to assist us in meeting our goals”.